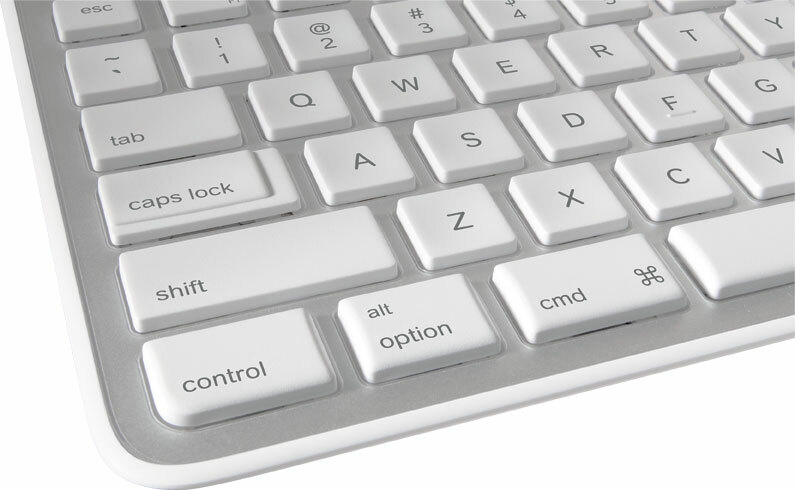 I like the ergonomics of most Apple (s aapl) hardware, but I’ve never been entirely comfortable with the current Apple keyboards, mostly because of their flat key design. For the last couple of years, I’ve used and liked the now-discontinued Logitech (s logi) diNovo Edge, Mac Edition, so I was interested in trying out Logitech’s new Wireless Solar Keyboard K750 for Mac. At first glance, the K750 looks a lot like the Apple Wireless Keyboard, with the addition of a strip of solar panels above the function keys. It has the standard Apple layout, but adds a numeric keypad, something the Apple keyboard and the diNovo Edge don’t have. Although I don’t use the keypad often, it’s nice to have when I need it. The keys on the K750 are very comfortable. They have just enough of an indentationthat my fingers know exactly where they are. As always when changing keyboards, it took me a couple of days to get used to the new layout, but I’m now typing as fast as I ever did (which isn’t all that fast). I found that the keyboard worked right out of the box. It didn’t need any driver software or charging time, even though I placed it in a keyboard drawer away from any direct light source. The free Logitech Solar App for Mac lets you find out how much light the panels are receiving, and how much power the keyboard has in reserve. The app is cute, but it isn’t really necessary. The K750 doesn’t use Bluetooth. Instead, it’s one of several Logitech products that uses 2.4 GHz wireless and is compatible with the “Unifying” wireless receiver, which allows a keyboard and mouse to share one USB port — handy when using a laptop with a limited number of available ports. I tried sharing the K750 and a Logitech M505 mouse, which generally worked well, although there seemed to be intermittent slowness in mouse scrolling. If you use the receiver with two or more devices, you’ll need to install the Unifying software. The Logitech keyboard is missing a few features. Unlike the diNovo Edge, it doesn’t beep when you press the Caps Lock key, and there is no indicator light on the key. You can get around this somewhat using the Capster utility, which not only beeps when Caps Lock is pressed, it also displays an on-screen Growl notification. The K750 also doesn’t have illuminated keys, unlike most of Apple’s built-in notebook keyboards. All in all, I am very happy with the K750. If you want a keyboard with the standard Apple layout, slightly indented, more comfortable keys and a numeric keypad, give it a try. Not having to worry about changing batteries or using a proprietary charger is a huge bonus, too. 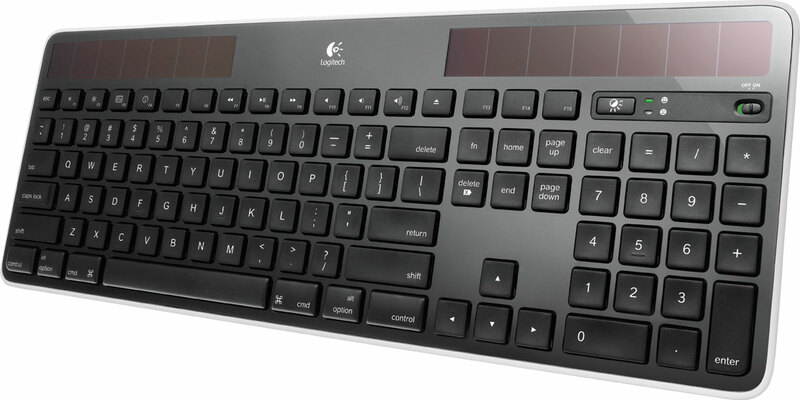 The keyboard is available in several colors including silver and black, and is available for $59.99 from the Logitech website. no caps lock light? hmmm.